Terms Specific to Market Data provided by the Open Joint-Stock Company Moscow Exchange MICEX – RTS (“Moscow Exchange”). 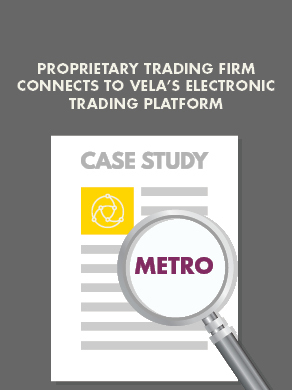 Client has the right to use, to store, to process Moscow Exchange Market Data received from Vela or in Vela’s products. Any further dissemination of the Moscow Exchange Market Data including by means of TV and radio broadcasting, paging or phone services, other means of remote mobile (wireless) access as well as using Moscow Exchange Market Data in simulating or training systems, are allowed only upon receipt from Moscow Exchange a respective written consent. If not contrary to the conditions of any Contract with Moscow Exchange, Moscow Exchange Market Data as well as Vela’s products containing Moscow Exchange Market Data cannot be placed on Client’s (or any other third parties’) web-sites, cannot be distributed in any kind and by any means, including electronic, mechanical, photocopying, recording and other means.